I use the name Rika as a Blogger, my Full Name as per MyKad is Julianna Balasan. Born 1 February 1991 at Kuching Sarawak, I have been traveling within Malaysia and overseas, for the past 2 years, to Ho Chi Minh (Vietnam), Tokyo, Osaka, Nara (Japan), Lombok (Indonesia) and Singapore. I started blogging back in 2010, writing about my university life as a student in Bachelor of Estate Management from University of Malaya. Graduated in 2014, I joined Rahim & Co International Sdn Bhd until 2015, as I decided to follow another career path. Currently, I am working in a healthcare-related consultancy company, with cats being my colleagues. I have a personal style of writing, unbridled by restraints, except on my own terms, yet I do accept suggestions. I call upon my strict upbringing: My Dad, who will unfailingly remind me that what we say or do, there are consequences. Yes, I learnt this without watching Spiderman. 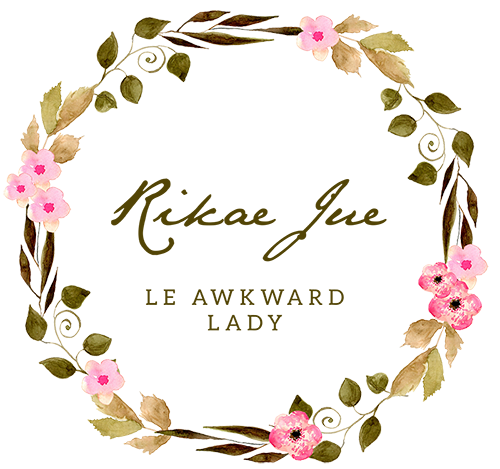 My Blog, Le Awkward Lady, is a record of my life, which includes Reviews, Musings, Opinions, Events and Random pieces in my life. I do accept Advertorial, Sponsorship and Press Release, subject to terms and conditions. I am also taking Japanese Language lessons as a hobby. Reading Japanese novels is my short term goal while I plan to further it into teaching the language. As of 01 September 2017, I have registered to take the JLPT N5 test in KL. Stay tune to my updates about the Japanese Language. Looking forward to more blogging years! Thanks for Reading & Do drop by always! For any event invites, product reviews and inquiries, please email rikajue[@]outlook[.]my. I will reply your inquiries within 48 hours.